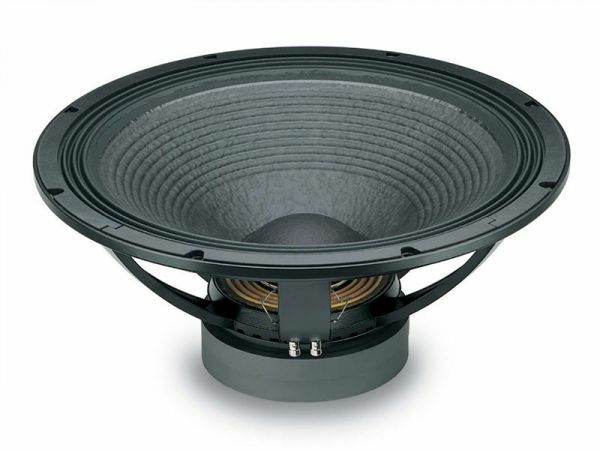 Produktinformationen "18s 21LW1400 8 Ohm"
The 21LW1400 is a 21 inch high performance extended low frequency loudspeaker. The transducer can be used as a subwoofer component, in either a reflex, band-pass or horn-loaded configuration, in high power auditorium or arena loudspeaker systems. It provides clean and undistorted LF reproduction at very high SPL and enables the speaker to withstand high power levels without damage. The 21LW1400 design features include an exceptional displacement suspension system which, in conjunction with a carbon fiber reinforced straight-ribbed cone and the Double Silicon Spider (DSS), produces an ultra-linear piston action, providing full control across the entire working range. The 100mm inside outside copper voice coil, based on our Interleaved Sandwich Voice-coil (ISV) technology, reaches high levels of thermal stability and durability. ISV technology is based on a high strength fiberglas former with half the coil wound on the outside and half on the inside and bonded together using unique high temperature resin adhesives. This results in a balanced linear motor unit which can exert an exceptionally high force factor. The low distortion and unmatched sound quality of the 21LW1400 has been significantly improved by the Double Demodulating Rings (DDR) embedded in the pole piece of the magnetic structure. These have been designed to dramatically reduce the intermodulation and harmonic distortion while improving transient response at the same time. Excellent heat dissipation has been achieved using the special basket design which incorporates air channels between the basket and the magnetic top plate. In addition, 8 air vents incorporated into the back plate are aligned with the voice coil to force air into the lower part of the gap. 21LW1400 is ready to perform properly under inclement weather conditions. This has been achieved using of an exclusive treatment which improves pulp strength and gives water repellent properties to both sides of the cone. Moreover, a special treatment is applied to the top and back plate of the magnetic structure which is far more resistant to the corrosive effects of salts and oxidization than any other treatment in use. Weiterführende Links zu "18s 21LW1400 8 Ohm"
Kundenbewertungen für "18s 21LW1400 8 Ohm"
super Treiber für meinen Infra, super Preis hier im Shop !!!!!!!!!! !